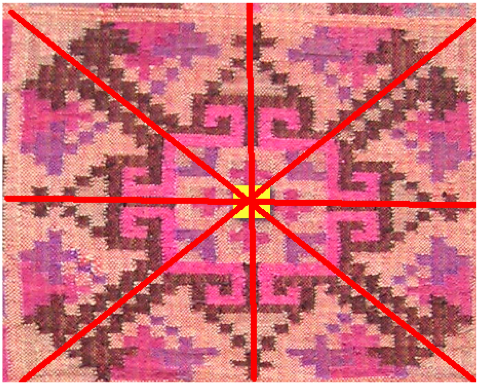 An essential feature in the Tausog Pis Syabit is a basic geometric figure: the square. 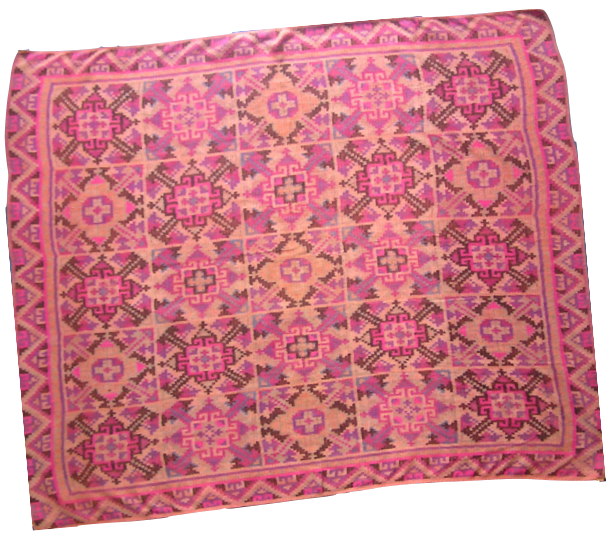 The central design is divided into twenty five square sections showing 4 different motifs. Strip patterns surround the central design and decorate the edges of the pis yabit. There is a 90o rotation at the center of a motif and reflections with axes as shown. The symmetry group of a motif is D4. A strip pattern possesses a glide reflection, vertical reflections and 180o rotations. The symmetry group is mg.